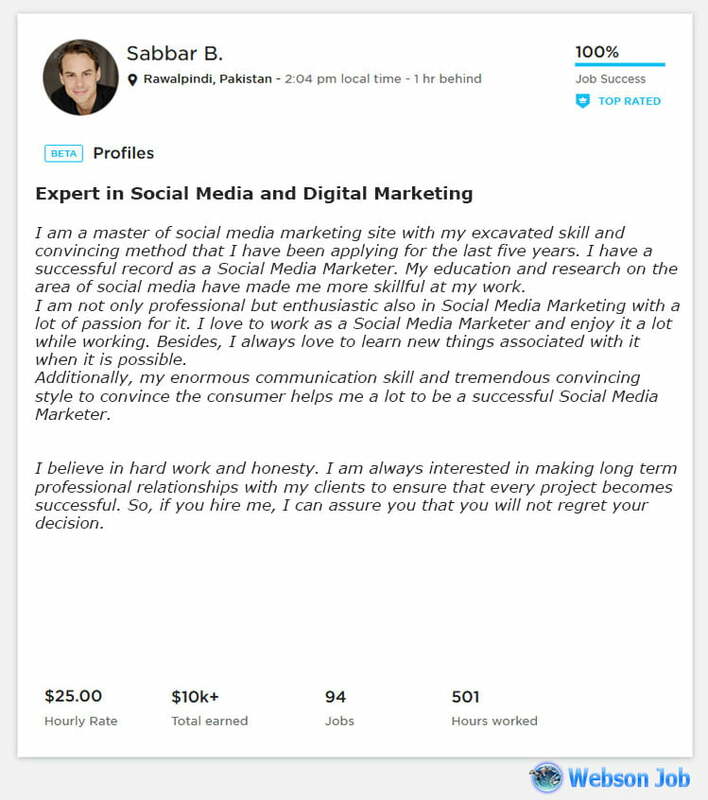 Are you worried about how to write an appropriate and attractive upwork profile overview for Social Media Marketing (SMM)? Then, stop being anxious anymore. We are going to show you all the way how to write a killer overview for Social Media Marketing. 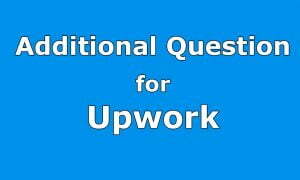 Really, you must give importance to your profile overview as most of the clients prefer to judge a freelancer only by reading their overview. And you know it is more important a matter when you are going to make your profile as a Social Media Marketing. Your client will try to know how much you are skillful when it is about marketing through your own speech you use in your overview, as you are marketing yourself here. If you may be successful at marketing yourself through your overview, then your client will be impressed with your skill as a marketer. Attract Your Client With the First Speech: Oh, Really it’s totally impossible to read through the whole overview of a number of employees. But you have so many things to add in your overview! What to do? In such case you must set a trap with your very first sentence so that your client feel tempted to read through the whole overview and get interested to know more and more about you. It’s a great technique as a marketer. Be Totally Professional: You should be totally professional when you are writing an overview. Never address your client in any way. Remember that your overview is not any letter to anybody; rather it’s simply a description of you with your own speech. Describe yourself as a totally professional Social Media Marketer. No Copy- Paste: Remember that when a client is reading your overview he wants to hear your own voice through it. So a copy- paste item is easily recognized and your client will leave you immediately if you do so. Therefore, try to be creative here as much as possible. Use your own speech, own style and be native to earn the trust of your client. If your client can’t trust your overview, how will he trust you with his project? Highlight Your Skill as a Marketer: You know all clients do not like Jack of all trades. So, never try to prove that you have so many skills beside Social Media Marketing. Rather focus on the Marketing as your only skill. It will make your client believe that you are an expert of this particular feature and so trustable with his task. Why You Should be chosen: Answer your client with each of your sentences why you should be chosen for his project. Impress your client through your speech and technique of convincing. No Mistake at all: Surely, you won’t like a piece of writing with a great amount of error in spelling or grammar. So, your client does that way. There is no scope of making any mistake in your overview. The best way is to revise your writing again and again and edit it to make it more strong and more convincing each time you revise it. Follow the sample below we are providing you to make your own overview more effective and fruitful. But please don’t copy it for the purpose. It will really damage your career. Rather follow its language, technique and way of presenting yourself. Wish you all the best! “I am a master of social media marketing site with my excavated skill and convincing method that I have been applying for the last five years. I have a successful record as a Social Media Marketer. My education and research on the area of social media have made me more skillful at my work. I am not only professional but enthusiastic also in Social Media Marketing with a lot of passion for it. I love to work as a Social Media Marketer and enjoy it a lot while working. Besides, I always love to learn new things associated with it when it is possible.